September always seems to be a bit of a dead month coming after the excitement of JWOC and WOC, and before the Australian Championships Carnival. For that reason it is the time to pause, take stock and work out where we are. Hence…no major event reports but a lot of reading. How did we really do at JWOC and WOC? What changes are coming for the National Squads? Do we really need WREs? Also advance notice of changes to criteria for National Squad membership, and a sneak look at the Oz Champs over the last weekend. Usually at this time of the year, with JWOC and WOC behind us, it is time to look at how NZL seems to be progressing (or otherwise) on the international stage. Hopefully this helps to identify both strengths and weaknesses in our approach, suggests what we need to do better, and where we can take encouragement. Let’s start with JWOC. This year it was indicated that a selection criterion was that athletes should be deemed capable of making the top half of the field in at least one of the individual disciplines. This received criticism from some quarters as perhaps putting excess pressure on athletes, or running the risk of making them feel failures if they did not achieve this goal. My view was and remains that it is a realistic goal that anyone intending to go to JWOC should be aiming for and in fact, as is shown below, even with a relatively young and inexperienced team at JWOC2018 in Hungary, 5 of the 6 women and 4 of the 6 men did actually make the top half of the field in at least one of the sprint, middle and long distance races. All three of those who did not achieve this goal were at their first JWOC, which is generally a learning experience that prepares them for improved performance in the future. It is interesting to compare how many athletes have made the top 25, 50 and 75% of the respective fields over the last 5 years. This is shown for the women in the tables below. What appears is that 2018 probably saw the best overall performance by our young women in both the sprint and the middle distance for several years, although there remains a struggle to make the A final in the middle distance – only Katie Cory-Wright did it this year. Notwithstanding the fact that in the long distance Lara Molloy became the first NZL woman for many years to make the top 25% of any JWOC field, the long remains our weak point. This possibly reflects the lack of opportunities to run many long distance races in New Zealand, and certainly ones where the depth of field is such that even relatively small mistakes are costly. This is shown by a quick comparison of winning time from New Zealand W20 courses at recent major events and the winning times and fastest NZL time at the last 5 JWOC’s. WOC Men’s Long Distance 2018 – how often do we see legs like this in New Zealand? Even excluding JWOC2014 in Bulgaria where they clearly got the winning time wrong, it is evident that at JWOC the fastest NZL athlete is routinely about 15 minutes behind the winner and having to run about 70 minutes. Those further back obviously are running for longer. The typical (and target) winning times for W20 at ONZ long distance events is generally 55-60 minutes, sometimes less, Oceania 2017 being the only real exception. The comments Nick Hann wrote last year about the WOC long distance are relevant – if you do not practice racing (note: racing not training) over the appropriate length of time you are simply not prepared for it. The conclusion has to be that if we want to improve the women’s long distance results at JWOC we need to be planning longer courses for them here in New Zealand. The same tables for percentage finishes for the men are shown below. At first sight these could be taken to indicate a slight decline in performance over the last couple of years. However, they need to be read in the light of the fact we have had a series of top performers over the last few years (e.g. Tim Robertson, Nick Hann, Shamus Morrison, Tommy Hayes) who have now passed out of the junior ranks, and the fact that only 1 member of the 2018 men’s team had previously been to JWOC. With that in mind the performances bear up and, indeed, Joseph Lynch and Max Griffiths both made the top half of all 3 races, including the top 25% in one distance, boding well for 2019. What will be of interest is how much others can build on the experience and perform in the future. So, although it takes more than one year for trends to emerge, it seems hopeful that the concerted effort that was put in at the U23 Camp last December into emphasising the need to develop a good training programme, backed by the decision to have 2 trials and, thereby, bridge the gap between an early ONZ Champs and Queen’s Birthday, was worthwhile. 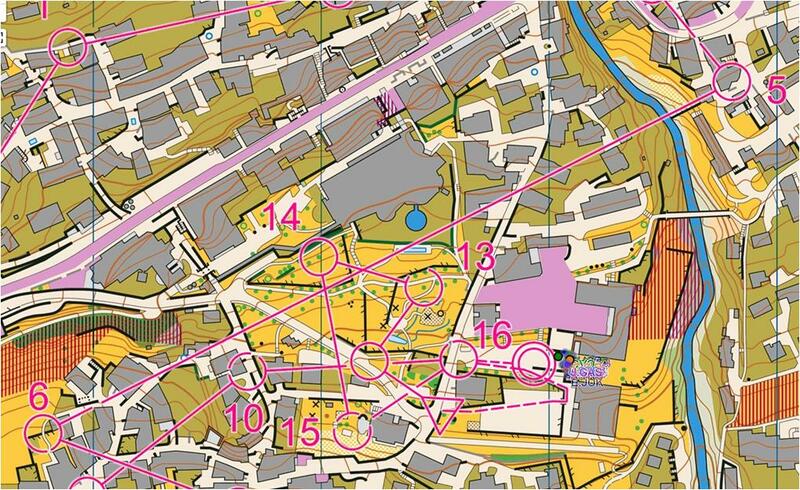 This approach will be repeated at this year’s U23 camp, and there will again be 2 sets of trials for JWOC2019. As Easter and the ONZ Champs are relatively late, there will be an earlier trial on the last weekend in March in Auckland (sprint and long distances). 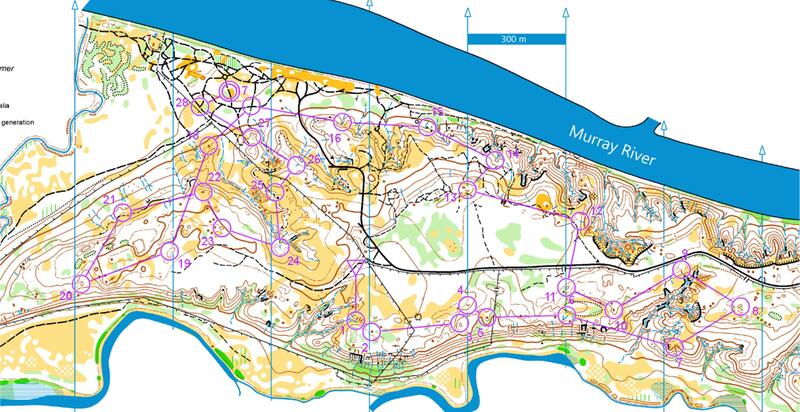 As JWOC2019 is on Danish sand-dune terrain there is also a planned training camp in mid-May which will focus on this. What about WOC? Tables such as above are not really relevant as, of course at WOC we do not have 6 men and 6 women running. What is shown below are the positions gained by our athletes at the last 5 WOC’s in the individual races. For the sprint only placings in the final are shown, whereas as there have been only single races for middle and long for the last 5 years, the typical size of the field is indicated. There are two things to bear in mind when looking at these numbers. Firstly, the first criterion for Senior Squad membership is based on an estimated ability to make the top 30 at WOC. Performances which meet this criterion are shown in bold. Secondly, from 2019 the quota system for the number of entrants from each country will apply only to the long distance, although it will be based on performances in middle, long and relay. With regard to making the top 30, all the men’s sprint performances that meet this goal come from one person, while for the women all these performances in the forest races similarly come from one person. Over the last few years, in terms of keeping NZL in Group 2 which has given us 2 entries in both the middle and long, the big difference between the men and the women is that we have tended to get 2 comparable performances from the men which contribute points to our Group 2 score, while the women’s points have been very heavily dependent on the one person. This, coupled with generally poor relay performances means that the standings at bottom of Group 2 for the start of WOC2019 will be as shown below. Although both performances of two runners will count to the 2019 score, the 2018 contribution comes only from the top performance in the middle and long out of the two runners, with the long distance counting double. Men: 8. BLR 140 pts, 9. NZL 131, 10. BUL 128, 11. POL 125, 12. HUN 99, 13. AUS 93, 14. SVK 58. Women: 8. UKR 177 pts., 9. BUL 145, 10. AUS 142, 11. POL 136, 12. NZL 115, 13. HUN 111, 14. ITA 86. The men, on the results above plus a good 2018 relay, look well set to preserve Group 2 status with comparable performances to this year. Indeed, despite the lack of red numbers, the men now have a respectable pool of talent from which a good WOC team can be drawn. The alternation of forest and sprint from now on may also reduce the financial cost if specialization becomes the norm. Similar performances to 2018 for the women, in contrast, are likely to mean courting with relegation to Group 3 (2 go down) and the loss of a place in the long distance for 2021. Does this matter? Given the small number of women prepared to undertake the WOC long distance, perhaps not, but in the long term we surely can do better. This will require two things: firstly a commitment from athletes to be prepared to front up for what is the toughest race of the year, and secondly a marked improvement in our relay performances. The first of these leads, again, to the idea that we need to have longer, tougher long distance races domestically – and let’s be honest, we need more of these to be on other than sand-dune terrain where there is generally limited route choice and easier running than is encountered overseas. The second can also to a large extent be put down to lack of practice at relay running – hopefully the cementation of the elite relay at the ONZ Champs will help this, but it is still only 1 relay in the year. Why not include a relay in the QB Test Match? I think about a year ago I wrote a rationale about the need for New Zealand to hold World Ranking Events (WREs). There were really two reasons put forward. One was that at events like WOC and World Cup races where there is no qualification, the start order is based on World Rankings. For example, at WOC the top 10 ranked runners start last in a randomly drawn order – the red group. The next best 15 ranked runners make up the second last start group, again with order within that group randomly drawn, and so on in groups of 15. Clearly, having faster runners around you, and possibly gaining an advantage from tracking, is beneficial, so a higher ranking and later start time is desirable. Some athletes do indeed target events simply to get a higher ranking in advance of WOC. The second reason put forward was that a WRE gives less experienced athletes the chance to experience the things like quarantine that they will come across overseas. What has become apparent, however, is that many clubs see organizing a WRE as an additional, unwelcome load, and are reluctant to commit to it. Also, although probably not well known, is the fact that ONZ has to pay a levy to IOF for every WRE. In other words they come at a cost. As a result we have been reassessing the value of holding WRE in New Zealand. What comes out of this is that although they do provide a valuable experience for athletes, it is unfortunately true that the ranking points to be gained even at the ONZ Championships are not enough to make any difference to starting order at WOC or World Cups. To illustrate this consider that the top ranked man in forest orienteering has a points total (4 best World Ranking scores) of 5900. The top woman also has 5900 points. The top ranked New Zealand man (Tim Robertson – 52nd at present) has 5089 points. The top ranked Kiwi woman (Lizzie Ingham – currently 88th) has 4586 points. Gene Beveridge, who won the 2018 ONZ long distance, earned 1021 points from it. His points gained from winning the Oceania long distance in 2017 were 1100. In the men a total of 4000 points (roughly twice Gene’s points from these two events) would place you 234th on the list – nowhere near enough to get you a decent start position at WOC. The situation is even worse for the women. Although 4000 points in total would place you 143rd, Renee Beveridge’s points from winning the ONZ long distance were only 867! In short, to make any meaningful difference to your world ranking you simply have to compete overseas – and that means outside Australia/New Zealand – where the strong fields mean that the points on offer are much higher. The possible exception to this is the Oceania Championships if all the top Kiwis and Aussies run. With all this in mind, and given the pushback from clubs against putting on World Ranking Events, I have to admit I have changed my mind and there seems little to be gained from holding WRE’s in New Zealand except for the Oceania Championships, which are in fact obligatory WRE’s, or possibly a good summer event where we have a number of highly ranked Europeans escaping their winter. It is also pertinent that IOF are currently reviewing the World Ranking system. One of the main proposals is that rankings will be calculated, separately for sprint and forest, on the best 5 WRE scores over a 24 month period. Although the extension of time over which points are counted is welcome, and takes into account the sprint/forest WOC split, the use of 5 scores will potentially make it even harder to achieve a decent ranking without competing outside Oceania. The Senior and Under 23 Squads for 2019 will be announced next month. However, there will be changes in the structure and the criteria for membership. Most noticeable at Senior level is that there will now be separate Sprint and Forest Squads –to reflect the split in these disciplines at WOC. There will obviously be some considerable cross-over in membership, but there will be some athletes who are members of only one squad. Additionally there will be a new “Elite” category of Senior Squad membership (see below). Although still to be ratified by ONZ Council it is intended that Elite Squad membership will bring some additional benefits. Women – to finish within 25% of the average time of the first 3 place getters in forest races. 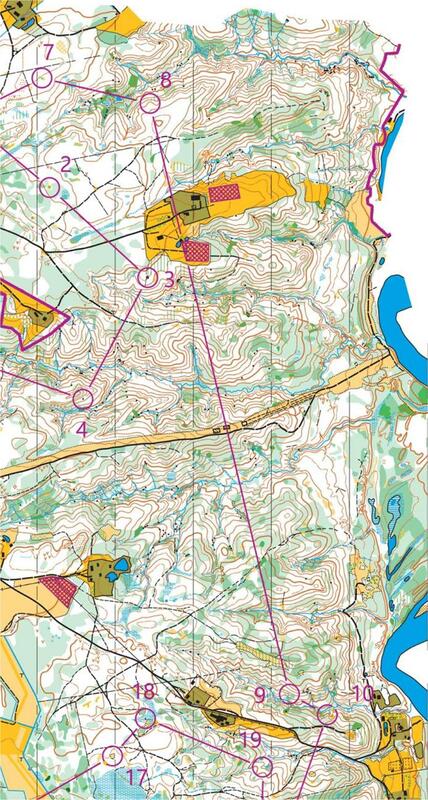 (2) In the last 2 years to have been selected for the World Orienteering Championships in forest disciplines. (3) In the last two years to have had 2 top 3 placings in elite grade out of the New Zealand Orienteering Championships, the Australian Orienteering Championships, and the Oceania Orienteering Championships in forest races. Women – to finish within 15% of the average time of the first 3 place getters in sprint races. (2) In the last 2 years to have been selected for the World Orienteering Championships in sprint disciplines. (3) In the last two years to have 2 finishes in the top 3 in elite grade out of the New Zealand Orienteering Championships, the Australian Orienteering Championships, and the Oceania Orienteering Championships in sprint races. (f) Podium finish at JWOC. Obtaining membership through achieving this criterion that will lead to Elite status. Slight changes to some of the percentages under (1) reflect the growing strength in depth of international fields are intended to set a mark that would give a top 30 place at WOC. (2) In the last 2 years to have 3 finishes in in M/W20E which are either in the top 3 of the New Zealand Orienteering Championships, or in the top 5 of the Australian Orienteering Championships or Oceania Orienteering Championships. (4) Over the previous 12 months have raced in a selection of the ONZ and Regional Championships or overseas equivalents. Criterion (4) is new and is to ensure that Squad membership is held only by athletes who are currently active. This will in fact lead to several present Squad members dropping out of the Under 23 Squad. Squad membership will allow participation at training camps of which the following are currently under planning for 2019. (1) Late January/early February – a weekend/long weekend camp based in the Wellington/Manawatu area. (2) Mid-March – a weekend camp based in Rotorua and again having both sprint and forest components. (3) Mid-May – a weekend camp aimed especially at the JWOC team, but open to others, hopefully based in Auckland. Depending on discussions at PAPO as to what they may offer as events post ONZ-Champs, there may also be a 3-4 camp over 23-26 April. Prior to these there is of course the Under 23 Camp from 9-14 December which will be based in Masterton. Applications for this closed on 30 September. The last weekend in September has seen the start of the Australian Carnival with the middle and relay champs run on Saturday and Sunday respectively, followed by the sprint championships as I write this.. With many of our home-based top athletes having spent considerable time in Europe this year, New Zealand’s representation in the 21 elite grades was limited to Tommy Hayes in M21E. Nevertheless, Tommy did us proud finishing 2nd in the middle distance, behind Matt Crane. The lack of NZL athletes also meant that the ANZ Test match was only being competed in in the 17-20E grades. Prime result here was Katie Cory-Wright winning W20, with Briana Steven coming in in 3rd place. Top M20 result went to Kurtis Shuker in 4th place. In the relay Katie, Briana and Tegan Knightbridge combined to take 2nd place in W20 behind ACT, while Kurtis, Will Tidswell and Tom Harding similarly finished 2nd in M20, but this time behind VIC1. Today’s sprint has also seen some top 3 results. Tommy has again finished 2nd, while in M17-20E Kurtis has also taken second place including the scalp of Australian WOC representative Aston Key. In the Junior women Briana has again finished in 3rd place in a field destroyed by over a minute by Tara Melhuish. A full report on the Test Match will appear next month. Although things have been relatively quiet for NZL’s overseas contingent competition ramps up again later this coming week with the final round of the World Cup in Prague. New Zealand has four representatives: Laura Robertson, Lizzie Ingham, Tim Robertson and Toby Scott. Races kick off on Thursday with the first appearance of a knock-out sprint in a World Cup. This will involve a qualification race in 3 parallel heats for both the men’s and women’s fields with the top 12 in each hear proceeding to the knock-out quarter-finals. The 6 quarter finals of 6 athletes each will see the top 3 in each quarter make the semi-finals. The top 2 in each of 3 semi-finals will make the final. Friday will see a sprint relay, where the NZL team will be seeking to improve on the WOC placing of 12th, before the only forest race of the round – a middle distance – on Saturday. The World Cup culminates with an individual sprint on Sunday.